PCE Seminar: ‘European integration under stress: Policy failures and disintegration tendencies’. Free entrance, but please register online. In this seminar, Prof da Conceição-Heldt (TUM Munich) examines the EU’s policy failures and disintegration tendencies. The process of European integration has never run smoothly, however the magnitude of crises experienced since 2009 has far exceeded those in the past. The Brexit shock, the rise of Euroscepticism, high levels of Eurozone debt, or the Russian military intervention in Ukraine all raise questions over the EU’s future. 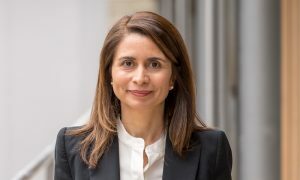 Professor da Conceição-Heldt holds a chair of European and Global Governance, she is Rector of the Bavarian School of Public Policy at the Technical University of Munich and Founding Dean of the TUM School of Governance. Her research interests include delegation of power to international organisations, European integration, global economic governance, two-level games, negotiation analysis, and accountability in global governance. She is the author of many books, articles and papers, including “Negotiating Trade Liberalization at the WTO: Domestic Politics and Bargaining Dynamics” (Palgrave Macmillan, 2011) and “Speaking with a Single Voice: The EU as an Effective Actor in Global Governance” (Routledge, 2015) (with Sophie Meunier).